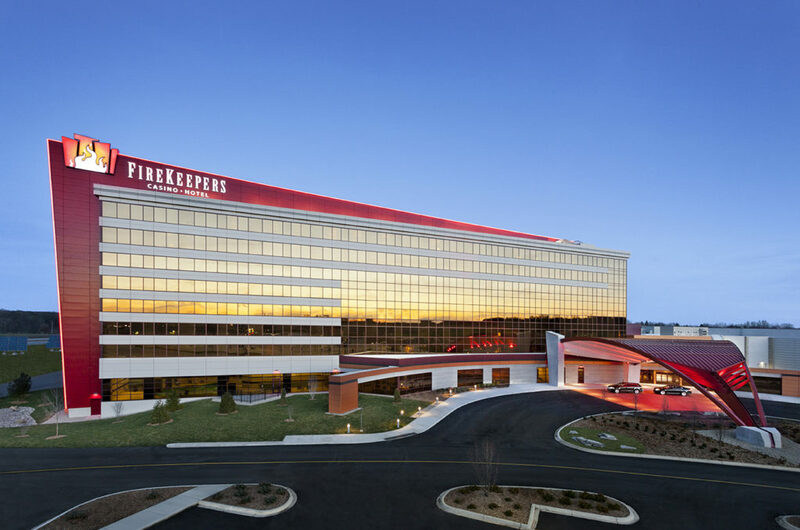 As a world-class meeting venue, FireKeepers Casino Hotel provides the service and amenities you seek, with the comforts and entertainment your guests expect. Our AAA four-diamond hotel has 243 rooms, a multilevel pool, hot tub, sauna, steam room, fitness center and business center. Enjoy over 20,000 sq feet of flexible event and meeting space all located adjacent to the gaming floor. Offering 2,900 of the latest slots, live poker, 81 table games including Blackjack, Craps and Roulette as well as a 500 seat bingo room, you won’t have to worry about entertaining your guests after-hours. Convenient Location just off I-94 at exit 104. Award winning cuisine including gourmet banquet catering and six on-site restaurants.